Big internet companies like Facebook and Twitter have focused on developing their workspaces that memorialize their products and values. Whether it be a change in desk layouts, or how things are simply organized on a tabletop, these companies help employees improve their performance metrics by fulfilling one of their core needs. To help get you started on a similar road to higher work efficiency at your desk, here are a couple of desk hacks to maximize your day. Most people may neglect the amount of time they spend in front of a screen or sitting down. 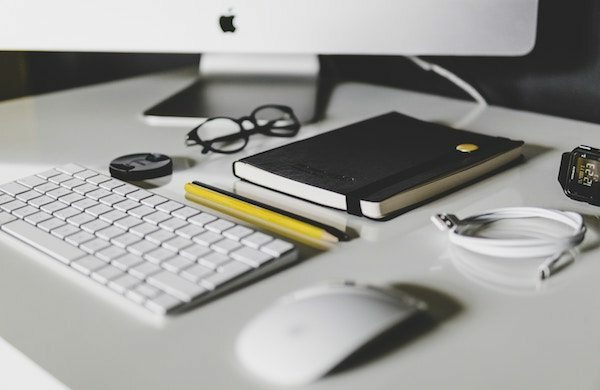 Here are a few general rules to follow while working at your desk. You need to do two things to counter the effects of sitting all day: stand once an hour and get about 30 minutes of general aerobic activity per day. The main thing is to move around. Alternate between sitting, standing and active motion. Check out our Sit-to-Stand tips for a more helpful playthrough. If your company allows it, try working at a new station, room, or building. Space drives behavior, experts say, and the goal of new work locations is to increase sharing ideas and creating new products. Avoid fatigue by looking away from your screen every 20 minutes at something that is 20 feet away for 20 seconds, as recommended by The Canadian Association of Optometrists. Increase Your Screen Real Estate – Imagine having more room to view your newsfeed, your email, and your work app all at the same time. Researchers at the University of Utah found that having larger screens or more than one monitor was significantly more usable than single screens on measures of effectiveness, comfort, learning ease. Go Offline With Your Tools – Use a variety of pens and paper, whiteboards, pinboards, or any other productivity methods. You may even want to invest in whiteboard paint or paper walling for your office area. Add Mirrors – If you find yourself crammed back into a cubicle, or need a few places to reflect, a few well-placed mirrors goes a long way to brighten your day. 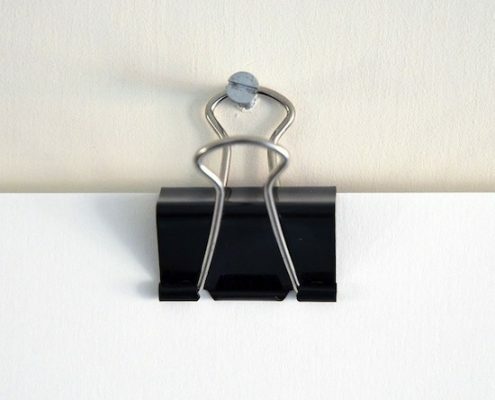 Use Binder Clips – One of the most versatile desk items, you can tuck a couple of binder clips underneath or beside your desk to help manage troublesome cables that flow around your desk or hang accessories you use frequently, like headphones or webcams. Use a Spice Rack – With a set of clear containers packed conveniently together, this is one way to organize smaller items, like rubber bands or paper clips. Having them on-hand in an easy-to-reach system can speed up any employees’ paperwork, leaving your drawer space for the most important items. You can also invest in-desk organizers for medium-sized items that you keep on your desk. Hang a Small Basket or Box – Pin or hang a secondary shelf underneath your desk as space for miscellaneous items. You can even use this space to help guide your cables around your desk and give yourself more leg room. 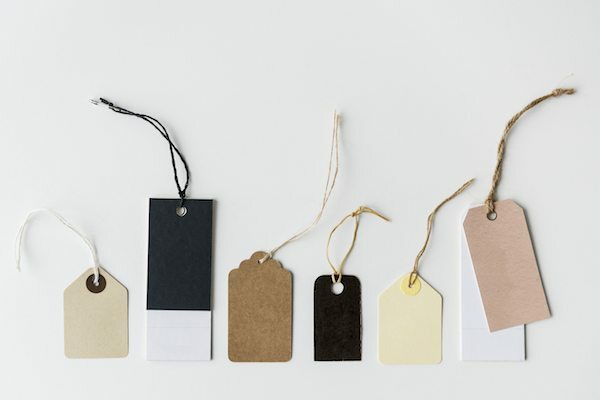 Label Everything – This may seem obvious, but if you have a variety of cables spewing out of your work area or your co-workers carry similar items on their desks near you – like chargers or headphones – it’s best to keep things as tidy as possible and track everything with a small and noticeable naming system. Take action now and help boost your fellow employees’ efficiency. 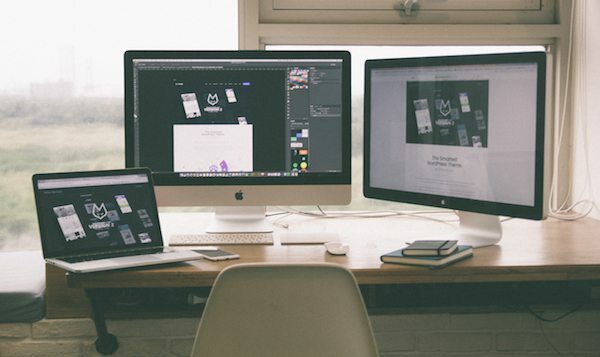 Organize your desk space and help promote better and creative workspaces!